Since a long time ago, the grilled-eel has been popular in Tokyo. The long-established restaurant which has been offering the grilled-eel and the top-class restaurant offer one in the calm atmosphere which only the top class restaurant can, which ever it is, its exquisite taste impress the grilled-eel lovers! 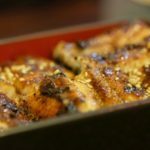 I’m introducing the selected grilled-eel restaurants in Shinjuku! 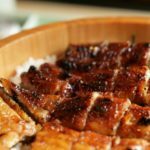 They are the superb 10 grilled-eel restaurants in ranking! Please pop in when you visit Shinjuku! The [Unatetsu Shinjuku] is a well-known restaurant which is near to the Shinjuku Koma Theater.When you step into the restaurant through the charming himo-noren (string shop entrance curtain),you can see the red counter-seats on the 1st floor and the comfortable tatami-matted rooms on the 2nd floor with such an outstanding atmosphere. The texture of the grilled-eel of the Una-ju (rice bowl topped with grilled-eel) with the Kimosui (eel liver soup) and the Tamago-tofu (steamed egg custard) is exquisite! The outside of the grilled-eel is crispy and the fluffy, juicy meat is inside. The flavour fills your mouth. The grilled-eel skewer is popular at this restaurant. The menu has variety such as Kabuto (eel-head), liver and unseasoned grilled-eel. You can also enjoy the U-maki (grilled-eel omelette) and Tataki (eel dish), so you can taste an eel from head to toe and that’s the secret of its popularity with their customers. Please try it just once! The Omoide-yokocho has the nostalgic Showa-era atmosphere in front of the Shinjuku station.The [Kabuto] is in the middle of the street and you can enjoy the grilled-eel for a reasonable price.At this restaurant, established in the 23rd of Showa (1948), you can sample the general grilled-eel as well as the various parts of an eel. The chef’s choice set menu has the neck, fillet and liver of an eel and they are very popular, but sometimes they are quickly sold out. So, an early arrival is recommended. You’ll have a good appetite for beer with the roasting smell and will be intoxicated with the nostalgic atmosphere!If you are a grilled-eel lover, this is the distinctive restaurant which you should visit. 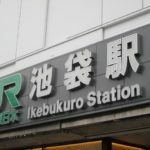 The [Unage Kikukawa] is a 3-minute-walk from the Seibu-shinjuku station with the stylish black appearance. 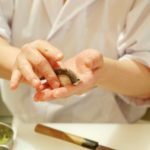 The [Unagi Kikukawa] has a 50-year-history since its establishment in Shinjuku and needless to say about the handed down sauce, cutting as well as steaming eels is done by hand. As they are particular about the way of cooking eels, they are also particular about where they are causht. They are carefully grilled to keep the meat soft and fluffy. 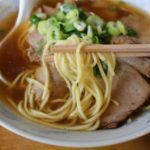 The mild flavour spreads in the mouth.The balance between a little tough rice and the sauce is superb and when you eat it with the sprinkled Sansho (Japanese pepper), I’m sure you will not stop your chopsticks moving. You can also enjoy the Japanese-styled food at lunch time and the grilled-eel Kaiseki (tea ceremony dishes) menu. The fragrance, taste and texture are all exquisite. Please enjoy them to the full. The [Nobori-tei Shinjuku-ten] is located in a convenient place which is a 3-minute-walk from the Shinjuku station. The yellow sign board and its distinctive roof are the land mark. The restaurant have no formal atmosphere and you can go in with a free-feeling. The menu is focused on the grilled-eel. It is well-known that you can eat them for a reasonable price, but its popularity has been supported by the taste. The soft texture with the flavour of the rich sauce will satisfy even the grilled-eel experts! The menu has some variety including the Hitsumabushi (chopped grilled-eel on rice) and Una-toro (fatty grilled-eel). 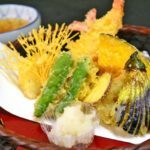 It is recommended for people who want to enjoy U-maki (grilled-eel omelette) or Shira-yaki (unseasoned grilled-eel) together with an alcoholic drink. The [Futaba] has the good reputation for which you can have the delicious grilled-eel in Shinjuku and it is situated at the place which is a 4-minute-walk from the Shinjuku 3-chome station. You can taste the superb substantial grilled-eel which is spread on the white rice. Your mouth may be watering even at a glance when it is served in front of you. The fluffy eel with a little tough texture is its characteristic. It is very filling. The eel-liver soup is also very delicious for its robust flavour. Please visit this [Futaba] restaurant. The [Unagisho Honten] is a 5-minute-walk from the Shinjuku station East exit. You can enjoy various dishes at this restaurant, which only the grilled-eel specialist can do. Especially the recommended one is the [Hitsumabushi]. This eel cuisine which was originally the famous dish in Nagoya is a wonderful way of enjoying the eel cuisine, it being said that you can enjoy 3 times worth in just one order. Also, the grilled-eel skewer, unseasoned grilled-eel and grilled-eel omelette are offered. There is unique menu such as the eel dorsal-fin skewer which only the specialist can cook. They have other menus apart from the grilled-eel. It is a recommended restaurant in Shinjuku. The [Kobayashi] is a conventional grilled-eel restaurant which is a 2-minute-walk from the JR Shinjuku station. It always has a long queue. The eels which the friendly owner grills have thick meatand fluffy texture. The sauce is rich and goes very well with rice. The lunch has less amount of rice, but the price will pleasantly surprise you. Some people repeatedly visit the [Kobayashi] because of the reasonable price which can hardly be said of the rest of Shinjuku. They offer Sukiyaki and Yanagawa (loaches dish) as well. There are the tatami-matted rooms upstairs and you can enjoy the meal in an unbelievably quiet atmosphere for Shinjuku depending on the time. It is the restaurant which has its own charm and offers the grilled-eel for a reasonable price. 8. 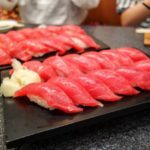 The [Tsukiji Miyagawa Honten Isetan Shinjuku-ten] is in the Shinjuku Isetan department-store which is a 2-minute-walk from the Shinjuku 3-chome station. The [Tsukiji Miyagawa Honten Isetan Shinjuku-ten] has been the long-established grilled-eel specialist since its opening in the 26th year of Meiji (1893). It has a few branches in Tokyo, starting with the Tsukiji-ten. You can enjoy the [Hitsumabushi] (chopped grilled-eel on rice) at the [Tsukiji Miyagawa Honten Isetan Shinjuku-ten]. 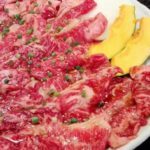 Even though it is situated in the Isetan department-store, they have been keeping the traditional taste, using the secret sauce which has been handed down for a long time and grilling them on the charcoal fire. The plain sauce performs as a supporting role to the end and you can sample the original flavour of an eel. The Hitsumabushi is the Nagoya-styled grilling. It is worth trying. The [Nadai Unatoto] is a 7-minute-walk from the Shinjuku station. This restaurant in the Center-bld. is overrun with business workers and office ladies every day. The characteristic of this restaurant is the reasonable price! You can sample a Una-don (rice bowl topped with the grilled-eel) for ¥500! Besides, surprise to say, this price is not only at lunch time but also at dinner time. The Una-ju (grilled-eel on the rice in a lacquered box) is ¥800 and the Hitsumabushi (chopped grilled-eel on rice) is also ¥800. You can enjoy the standard grilled-eel for a reasonable price. If you want to taste the delicious grilled-eel in Shinjuku, this restaurant is the answer. The [Unagi Nihon-ryori (Japanese-styled cuisine) Wadahei] is on the B1 in the Tokyo Hilton Hotel near the Nishi-shinjuku station. It has a long history of business since the 18th year of Meiji (1885).The unagi (eel) cuisines which they offer are only the grilled one and the Hitsumabushi, but you can order them as a set with sashimi or tempura. Hitsumabushi at this restaurant is the Kanto-styled one. The grilled-eel is fluffy and soft. The taste is decent and profound. The more you eat it, the more a smile appears on your face. You can have lunch for a reasonable price and you can enjoy the grilled-eel in the calm atmosphere. It is recommended for people who want to sample the grilled-eel with their precious friend or partner. Let’s eat delicious grilled-eel in Shinjuku! How did you find this article? 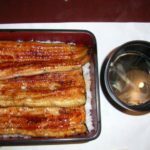 I’ve introduced the 10 recommended grilled-eel restaurants in Shinjuku which you shouldn’t miss. Each restaurant has been offering the exquisite grilled-eel, so I believe that you will be satisfied at one of these restaurants. 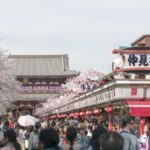 In the town of Shinjuku, there are superb grilled- meat restaurants, the tavern which is open throughout the night or the café where you can have the luxurious breakfast. Please enjoy all of them in Shinjuku!